Alternaria is found outdoors more often than indoors, but it can sometimes be found in damp places indoors, like in showers and anywhere you have leaky pipes. Sometimes it is found on wet carpets, as well. 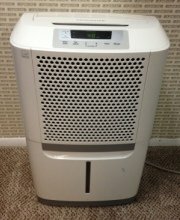 However, this type of mold does not need as much moisture as many strains. Just a small amount of dampness will do. This type of mold is often found in bathrooms but, like most kinds of mold, it spreads easily from one part of the home to another. If you find mold in your bathroom, you should inspect the rest of your home for mold, as well. Since mold often grows in hard-to-see places, it may be necessary to check under carpets or even under floorboards, inside walls, and inside your home’s heating, ventilation and air conditioning ducts. 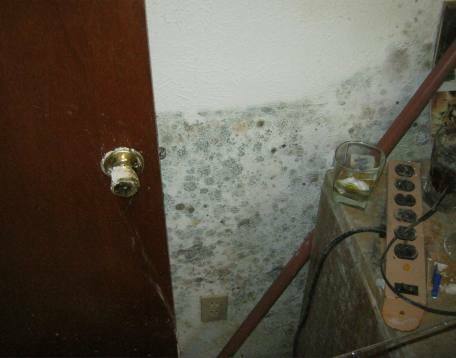 Of course, you can’t tell what kind of mold you have just by where it is growing in your home. Lots of different types of mold can be found in bathrooms and around leaky pipes. The U.S. Centers for Disease Control and Prevention says that most of the time you don’t really need to know what kind of mold is growing in your home because no matter what kind it is, it could make you sick and you need to get rid of it. Some people choose to have the mold in their home tested, though, for a variety of reasons, and then you’ll learn what kind of mold it is. 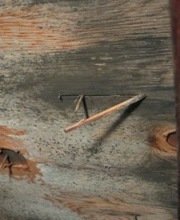 You can read more about mold testing here. Like all kinds of mold, this one can make you sick. It can cause respiratory problems ranging from coughing, sneezing and sniffles to bronchitis and pneumonia. It can also cause asthma symptoms to worsen in people with the condition and may lead to the development of asthma-like symptoms in those not previously diagnosed with the condition. Some people are allergic to alternaria and sensitive individuals may experience reactions that include an itchy rash or hives. Allergic reactions are usually not serious, but occasionally they can be. In people with severe allergies to mold, a life-threatening reaction called anaphylaxis may occur, in which the throat can swell shut. This is a medical emergency, as without quick intervention, death from lack of oxygen can occur. Immunocompromised people, such as those with human immunodeficiency virus (HIV) or acquired immune deficiency syndrome (AIDS), those undergoing chemotherapy, and those who have had an organ transplant, are among those at greatest risk for mold-related health problems, but even previously-healthy individuals can become sick when exposed to mold in the home. If you are experiencing symptoms of mold-related illness, you should see your doctor. If you have health problems affecting your immune system, you may wish to consult your doctor if you’ve been exposed to mold even if you aren’t experiencing any symptoms, just to be sure your health has not been compromised and to ask if you should take any special precautions. Removing mold from your home as quickly as possible is important no matter what kind of mold it is. 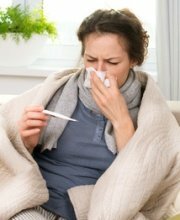 Even if you don’t get sick after a brief exposure to mold, you may become ill with prolonged exposure. Also, mold will continue to grow over time, so what begins as a small amount of mold in your bathroom may easily grow and spread until you have a large amount of mold throughout your home. Obviously, that would increase your risk of developing mold-related health problems. While everyone tends to agree it’s a good idea to remove mold from the home as soon as possible, people don’t always agree on the best way to go about it. Some homeowners prefer to handle the job themselves, while others prefer to hire a professional to do the work for them. Whether you plan to hire someone or hope to do the work yourself, we suggest scheduling a free consultation with a mold removal professional. Even if you end up doing the work yourself, you can benefit from some free expert advice. Follow this link to find experienced professionals offering free consultations in your area.